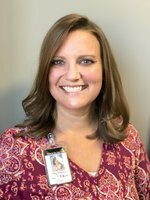 My name is Amy Thaxton, and I am in my 15th year at Bob Jones. I am in my 5th year as the Assistant Principal of Instruction. I have the opportunity to partner with some amazing teachers on best classroom practices to impact student achievement. I am a proud 1999 graduate. My experiences at Bob Jones as a student were very positive and helped to prepare me for the future. I am so excited to be a part of a wonderful staff that strives for excellence in education, while motivating students to always do their best in any situation, whether in school or in life. I take great pride in Bob Jones academically, as well as its athletic programs.